Several of the poems’ dexterity owe much to a rigorous imagism that’s defiantly post-lyric, e.g. Other poems remain slippery, if not uneasy, e.g. As good poetry can, Koronas often refocuses our attention on what’s usually in front of our eyes but ignored, e.g. “why bobble head / on dash” from “82.” It’s a good effect and goal to de-mundane-ize the mundane. It is, after all, a poet’s task to see. 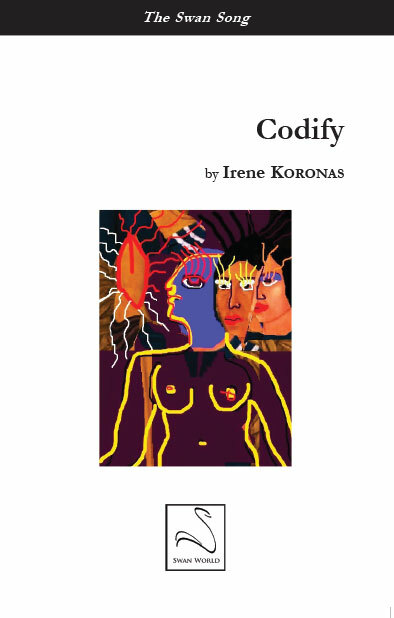 The effects of Koronas’ poems are possible because despite its minimalism that requires active investment by a reader, the poet does not stray from her “devotion / to logic” (from “13”), even as the poems show how logic can be subjective. Codify is not a typical poetry reading experience—and for such, I am grateful. Recommended.